With the world going digital, companies have no other option but to step into their customers’ preferred communication channels to engage with them. Furthermore, for contact center agents, the ability to have all streams of communication unified in a single platform is an absolute game changer. According to Harris Interactive, 75% customers believe it takes too long to reach a live agent. Customers expect quality service in real time and through their channel of choice. The need for communication services and multimedia support will only increase as technology becomes more complex and expectations for customer service continue to rise. In short, there is no substitute for a live agent addressing a customer’s needs quickly and efficiently. Sorry, but the pre-recorded message no longer cuts it. Companies need to engage with customers on multiple channels, but typically these different channels are supported through different tools. Over time, systems have become more sophisticated, and markets have adopted the concept of “omni-channel” customer engagement. An omni-channel digital platform allows agents to use one tool to support customers across all digital channels. This enables companies to focus on customer engagement depending on the customer’s need (through skills-based routing), without agents being limited to a single communication channel. That’s why RingCentral Engage Digital is a must-have for enterprises. Engage Digital empowers agents to efficiently manage customer interactions across all digital channels via a single interface. With this new world-class product, businesses can resolve customer issues quickly and efficiently—all while providing a seamless experience. By leveraging our AI-based smart routing engine, agents will have the ability to elevate their real-time messaging communications, leading to faster resolution of customer issues. Contact centers are among the front line of customer experiences, but really it’s a win for everyone. A complete contact center speaks to the satisfied customer who can reach their vendor or business partner efficiently and effectively. If you’d like further details, contact your TBI Channel Manager or download this infographic. Talk to your TBI Channel Manager or local RingCentral resource for more information on RingCentral Engage Digital for your customer. Talk to your customers about RingCentral. Utilize TBI's Partner Marketing Center (PMC) for a pre-written, customizable marketing campaign on RingCentral. RingCentral, Inc. (NYSE:RNG) is a leading provider of cloud-based business communications and collaboration solutions. RingCentral’s cloud solution is easier to manage, and more flexible and cost-efficient than legacy on-premise communications systems. It meets the needs of modern distributed and mobile workforces spanning SMB to Enterprises globally. 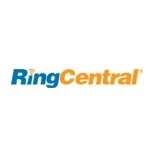 RingCentral is headquartered in Belmont, Calif. RingCentral and the RingCentral logo are trademarks of RingCentral, Inc.